Rough city streets and long open highways will feel comfortable in the new Lincoln Continental. This highly sought-after luxury car is equipped with advanced performance technology. It works behind the scenes to ensure that your ride is as smooth as possible. 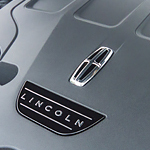 Our team here at Koons Lincoln Silver Spring is ready to show you what the new Continental can do. Dynamic Torque Vectoring is a feature that can improve your performance on curves. It's engineered to enhance your agility and deliver a smooth riding experience. When you round a curve, sensors will monitor the car's movements. It can then send the appropriate amount of transmission power to the wheels with the most grip on the road. Dips and bumps are no match for the Continental's adaptive suspension system. The high-quality suspension components are fine-tuned to absorb shock and prevent energy from making its way to the cabin. The best part of this system is that you can change settings on a whim. There are three different modes. They include Normal, Comfort, and Sport.